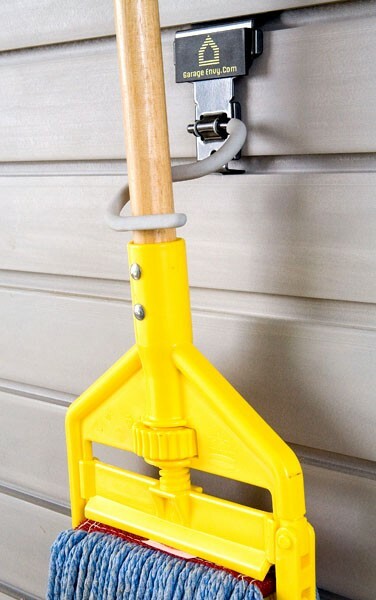 The S Hook is a very useful slatwall accessory, as it uniquely holds one long-handled item, such as a broom, shovel, or gardening tool, making it easily accessible. With graphite coloring and non-slip tips, the S Hook makes an excellent slatwall accessory and is easily attached via tongue and groove design to Wallscape slatwall. An excellent organization solution for your garage!